If you are looking for good coffee at a very fair price, we can recommend this espresso. Both blends, Arabes Gran Selezione & Arabes Super Bar Espresso, are perfectly suited for use in fully automatic coffee machines as well as for portafilters. 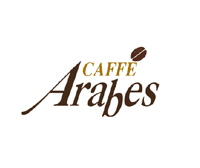 Arabes Coffee is an insider's tip for price-conscious coffee lovers.